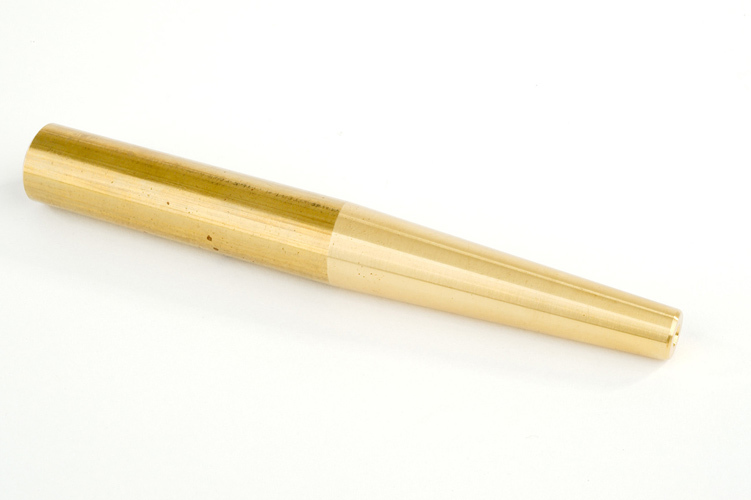 This G40 Slide Solder Rod is properly tapered for soldering into all stuck slides on cornets, trumpets, mellophones and other small tube instruments after removing crooks. Warm the slide so you don't burn the lacquer and apply a penetrating oil to help loosen the slides. Solid brass for easy soldering. 5inch (127mm) long.